You are here: Home / Mold / How Long Does It Take for Mold to Grow? Mold exists wherever there is moisture or water. The more moisture and water you have in an environment, the more that mold will be able to grow. 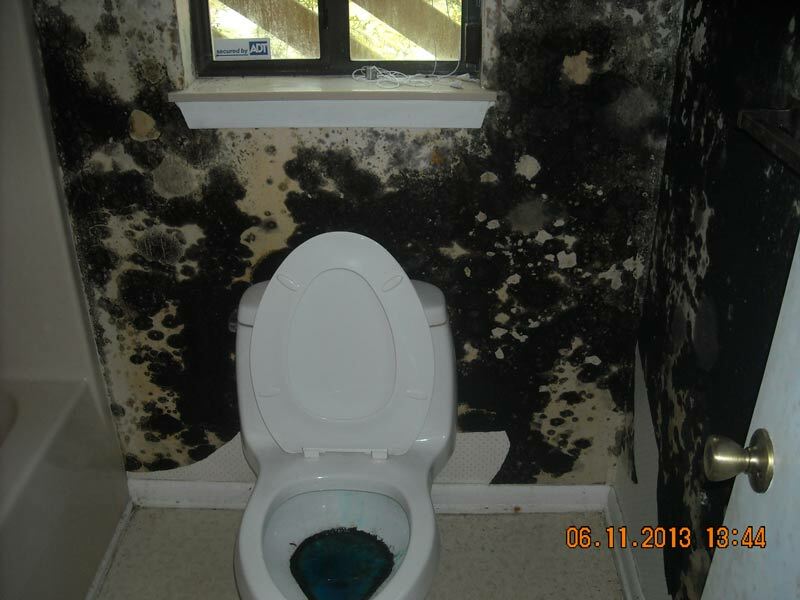 That is why mold grows quickly after your property suffers water damage or flooding. All that water creates a breeding ground for mold. However, they don’t actually feed on the water. Mold likes to feed on organic materials, such as fruits, bread, wood, and some concrete. Therefore, if you have these materials in a room with plenty of humidity or water, then mold will love it there. To get more specific about its rate of growth, mold only needs a couple of centimeters of water damage to grow into a health hazardous after a few days. If rain constantly floods your basement or you just have too much humidity in your structure, then you need to remove the water and dehumidify your rooms as fast as possible. Otherwise, anyone in the environment will likely get sick or suffer an allergic reaction to the airborne mold spores. There could even be damage to the internal structure of the building as well. When you first notice just a little bit of mold, then you need to clean it right away. The problem is that most people don’t bother trying to remove mold until they’re experiencing a mold infestation. Once that happens, there is little that a layperson can do to remove the infestation. It will require a professional mold removal service provider like Orange Restoration. In San Diego, Orange Restoration has helped hundreds of homeowners and business owners eliminate mold from their properties. The first step is to remove any excess water on the property caused by flooding or pipe leaks. Next, all the existing mold will be wiped away and the rooms will be thoroughly cleaned. For extra caution, you should remove food and other organic materials from the rooms which suffered a mold infestation. These materials might include clothes or furniture. Replace them with fully synthetic materials instead. It is easy to see mold when it is on your walls, clothes, or furniture. There will be a black mossy texture which grows bigger each day on the material. However, the mold you don’t see are the airborne mold spores which you inadvertently inhale. Sometimes you can smell the mustiness, but not always. If you inhale the mold spores, you could suffer fatigue, inflammation, sore throat, headache, congestion other symptoms. The best thing to do is get a mold test done if you even suspect that you have mold. Professionals will be able to recommend the best course of action to take. Flooded Toilet Water Damage What Should You Do If You Experience Wet Drywall?